What do we do to change the effectiveness of our schools? In loco parentis we guarantee every child the same care and opportunities that we good parents provide for our children. What does that mean? Take Bill Gates as an example of the dichotomy between what he does for his children while ignoring the basic human needs of other children – especially when the other children are tangled in the political-economic morass of poverty. With little understanding of the problems and strength of American education, Gates and others focus on fixes – like testing – that do nothing but hurt other people’s kids and their teachers. 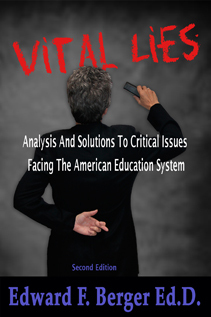 Because these self-appointed experts do not address root problems, they are destroying an education system designed to evolve and to solve problems. A little information and unproven, fact-adverse ideologies are a dangerous thing. Only an extremely small percentage of education reformers fight for educators and schools, and the support systems necessary to ensure every child a shot at the American Dream. The reformers (AKA deformers) believe that because they have wealth and power they also have solutions through insight or ideology. They discount the years of training and experience it takes to be an effective educator. They think that because they understand manufacturing, and like the Waltons, exploit labor, they understand education. Many assume that helping other people’s children survive and flourish turns them into takers and creates a welfare state. The inverse is true as has been proven beyond question. The failure to provide for all children, regardless of poverty, parental failure, hunger, illness, and the caustic effects of stress and fear is destroying our nation. Doing for other’s children as you do for your own, in loco parentis, is the best and most cost-effective way to enhance our schools and build citizens who contribute. If those who have great wealth can stop believing that because they have amassed dollars, they have divine rights and insights, they can stop holding back the less fortunate. The answer to those who now lead the movements to destroy public schools, those who orchestrate the attacks on teachers and those living in poverty, is to do unto other children as you do for your children. Make certain that every child has the basics necessary to grow and prosper. Build school programs from the child up, not by coercion and top-down decisions that always make matters worse. Build by addressing the peculiar needs of each child in her environment. Know the child’s needs and provide for each child like you do for your own. Hunger, fear, home situation, medical problems, clothing, and nurturing are human needs that must be addressed if education is to take place. Schools are not assembly line factories where parts are attached to kids and tests are devised to eliminate failed products and assembly line workers. Educators are the first line drawn against the forces of poverty, injustice, and poor schools. End top-down, coercive management and let educators have the resources to get each-and-every child the help and education they need. Allow educators to lead as they apply their training and experience. Allow elected boards and political officials to garner and focus the funds necessary to support our schools, keep the parameters tight, evolve education, and build America. To this I would add insist upon certification and end the temporary certification of individuals under the guise of “we don’t have enough teachers.” The “temporary” fix became permeant. For a while it was insisted that people have a four-year degree in education and that, like all professions, they do continuing education to stay current in pedagogy. It did not address the real issue of working conditions. To that we can now add all of the policies that are built on mistrust. That tells us a lot about the character of those who enact and promote such polices. They don’t trust themselves, therefore they can’t trust others.